It's that time! What time, you ask? Time to do the Can-Can! No, not the dance. I'm talking about canning, jarring up, putting up summer produce to last the rest of the year. 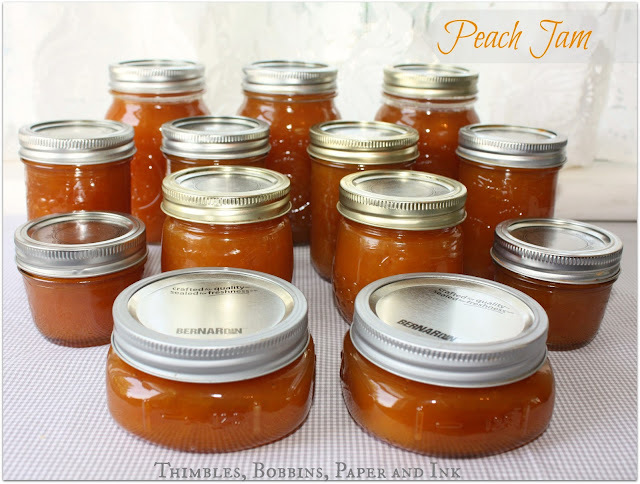 And yesterday I made 15 half pints of my favorite PEACH JAM! The first Ontario peaches have arrived at the fruit markets. I went a little crazy and purchased about a half bushel, I think. Peach jam is always first on my list to make. Looks like a lot of jam, doesn't it? No worries here though. It will be used on toast and biscuits, as a cookie and pastry filling, mixed in with our breakfast yogurt and/or oatmeal. It will top ice cream and pancakes. Test jam consistency on a cold (out of the freezer) saucer. 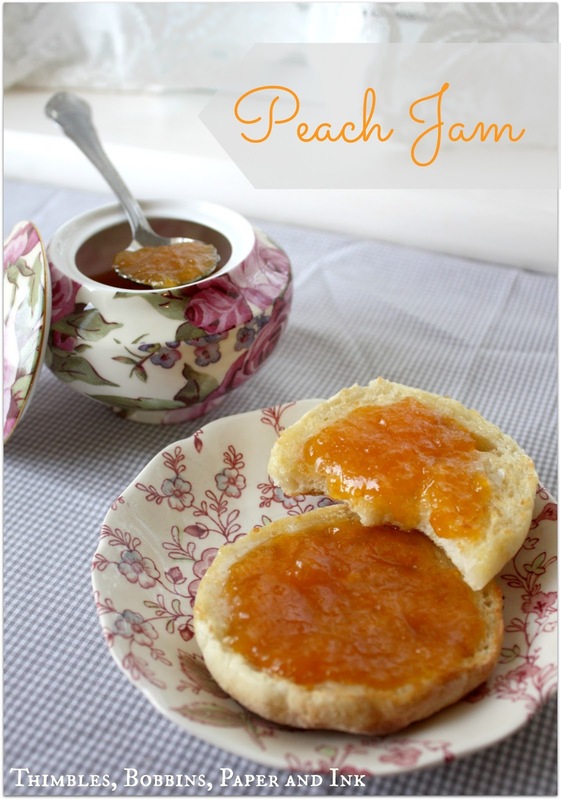 If the jam is too runny, boil a few minutes long and retest thickness on a cold saucer. Pack hot jam into hot, sterilized jars leaving 1/2 inch of headroom at the top. Wipe the rims with a clean, damp cloth and seal with lids and ring bands. Process the jars in boiling water bath for 15 minutes. Recipe courtesy of Anna Wight from her blog, Sassy & Sweet Notes. 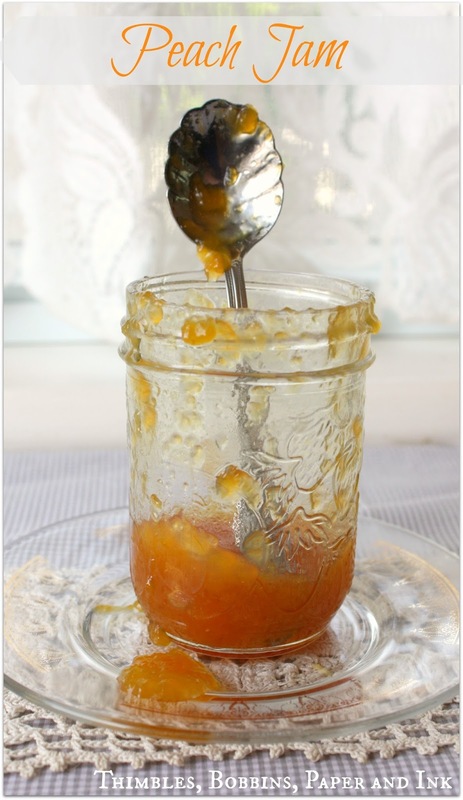 This luscious peach jam won't last long! Guaranteed! Yummo! I LOVE peach jam....never tried it with the orange, though, and it sounds delish! I just finished canning 7 pints of bread & butter pickles...the first I've canned in probably more than 30 years! We'll see how they taste in a month or so!!! LeAnne, do you get as excited as I do seeing your jars all lined up? I get such a thrill out of putting up produce. Simple pleasures, eh? Let me know how your pickles taste. DELISH, I'm sure! Hi Mary! NO WAY!! Tori cannot be 12 already. Just isn't possible! I'll be stopping by to see all of your fabulous digi-scrapbooking artwork. Ohh your jam looks wonderful! I tried making jam for the first time about a month ago, and it was a complete and utter disaster! I was so upset, it was just a big, sticky mess! Your jam looks delicious!!!! Oh no, Maria! How disappointed you must have been. What happened, do you know? If I can answer any questions or help at all, just let me know. I've had enough disasters over the course of many years that I probably can come up with some help. Cheers! 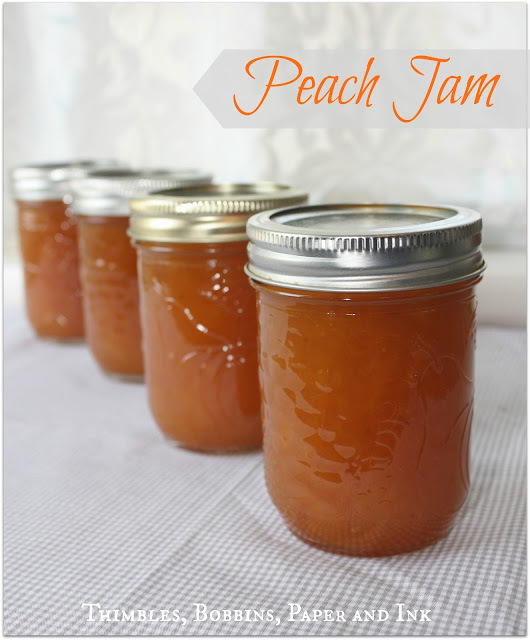 I made Peach Jam today as well! Wish I had seen the recipe you used first though as I prefer my jams without added pectin (the recipe I used had added pectin). 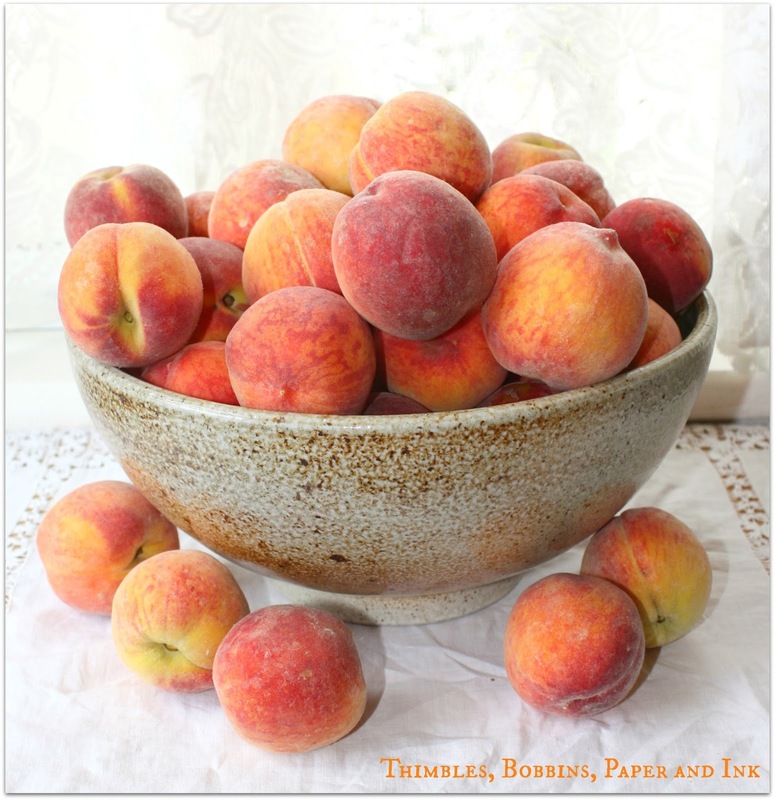 Definitely going to pick up more peaches though and give this one a try.